Jonas’ world is perfect. From birth until the day of their Release, every member of his Community moves through life following the same patterns of progression and change that have been in place for generations before them; patterns which keep them safe and contented. But when Jonas is selected to be the new Receiver of Memory, he steps into an entirely new world – one full of experiences and realities he never knew existed. As he receives the memories that have been passed down through generations of Receivers, Jonas must learn how to handle the experiences of the world, and he must decide what affect they will have on his life…as well as on the lives of the Community around him. because of the characters’ lovable personalities. You will identify with and root for Jonas all the way through! The book is a fairly easy read, although once you reach the end you will be very glad to know that there are three sequels! 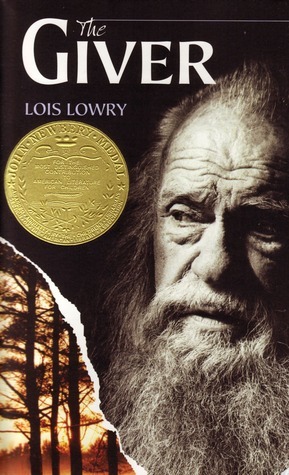 Overall, The Giver is a classic that is worth re-reading over and over again – which is why I was thrilled a few years back when Leah gave me a copy signed by the author herself. It remains one of my all-time favorite books! By the way, I just realized that I completely missed announcing the winner of the book giveaway yesterday. Sorry about that! I’ll do it tomorrow.